I think I am finally understanding what it means to be a painter. 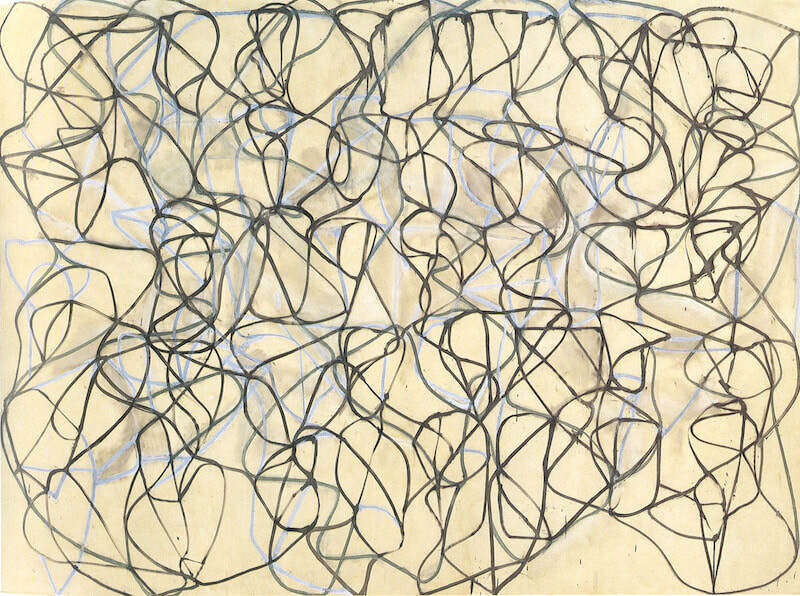 Brice Marden has known for a long time. His use of line is the primary thing. He is always "taking a pencil for a walk." To read about him click here. A self-taught artist, Basquiat began drawing at an early age on sheets of paper his father, an accountant, brought home from the office. 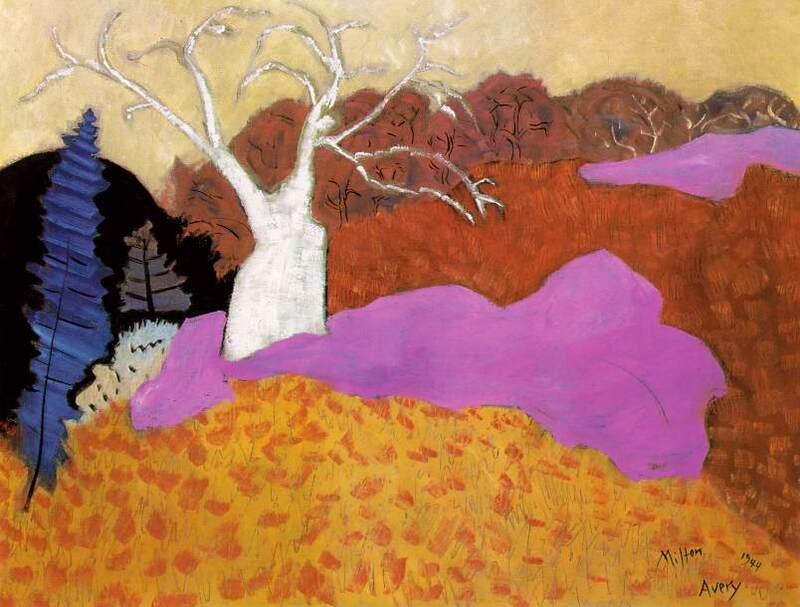 As he delved deeper into his creative side, his mother strongly encouraged him to pursue his artistic talents. In 1977 Basquiat quit high school a year before he was slated to graduate. To make ends meet, he sold sweatshirts and postcards featuring his artwork on the streets of his native New York. 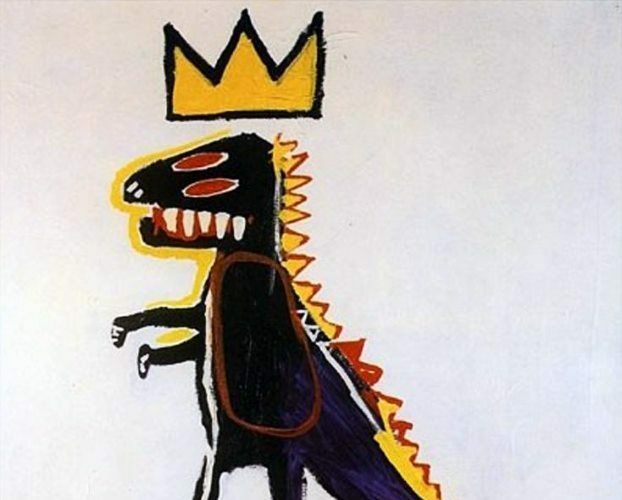 Click here for more about Jean Michel Basquiat. 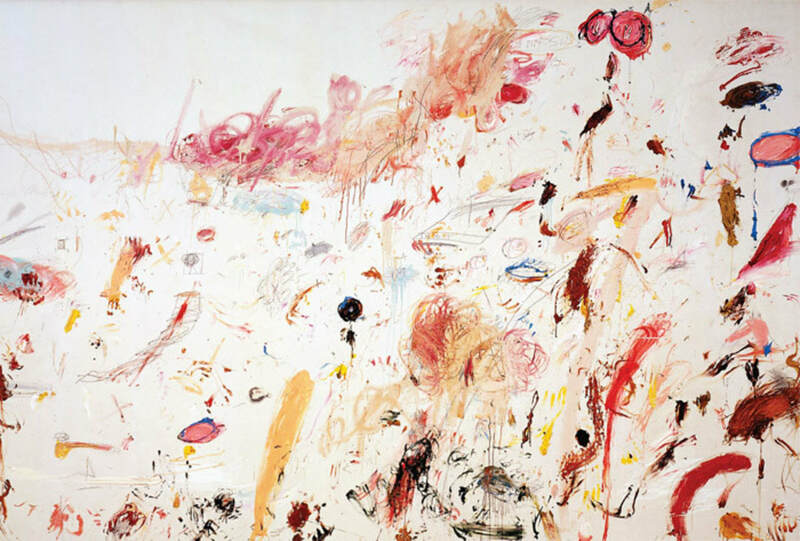 Cy Twombly has been a mystery to me and others for some time. When first looking at his work one might think, why is it art? It's marks and scribbles and text in bad hand writing, and yet it is beautiful There is a lyrical appealing, childlike quality to the work. Below is an image of his painting titled, Triumph of Galatea. ​To read more about Twombly click here and here. 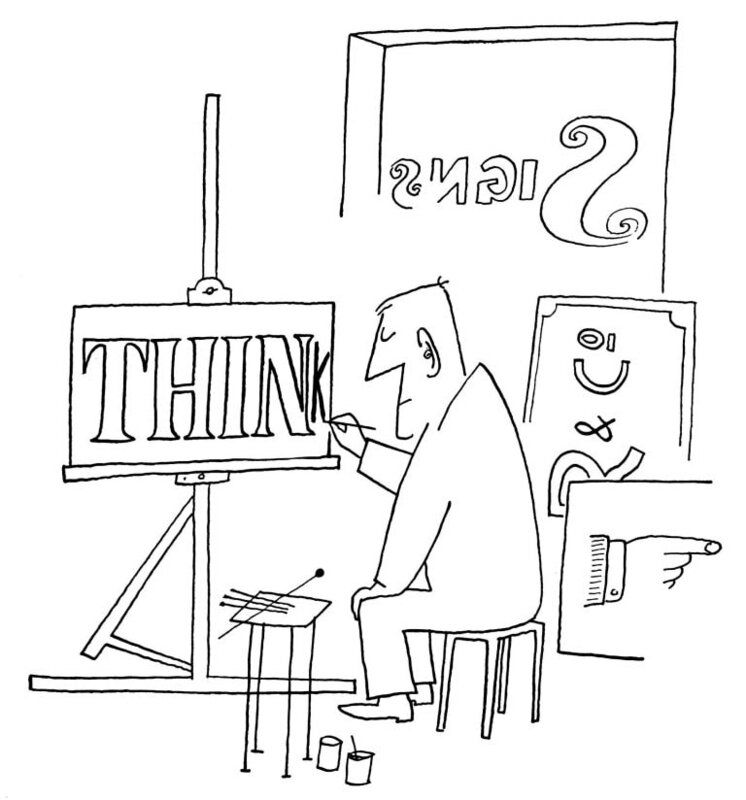 Saul Steinberg could with a single line tell a story or make me laugh. He is most well known for his New Yorker covers. Click here for more about this artist. 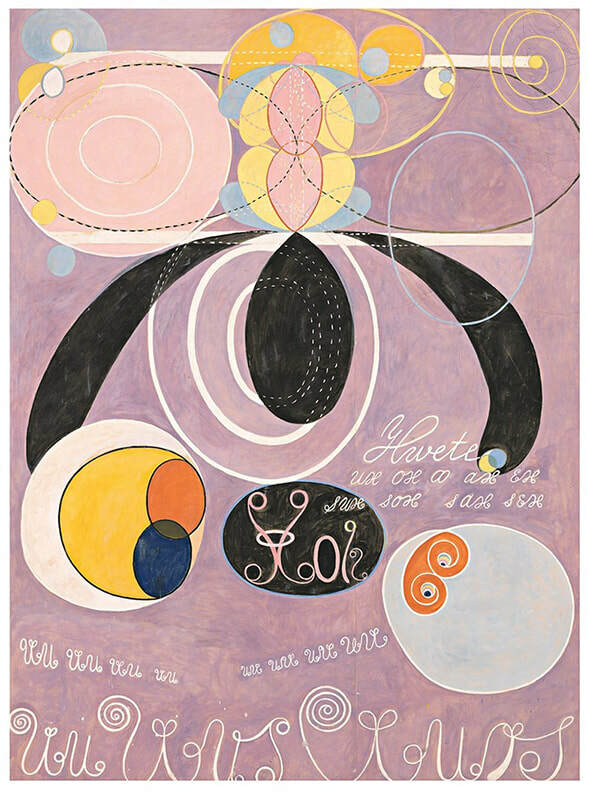 Hilma af Klint was painting these kinds of abstract paintings before Kandinsky and other artists of her time but she did not want them to be seen until 20 years after her death. I was lucky to see them in the 1980's but did not realize their importance at that time. There is a show of her work at the Guggenheim in New York now, incredibly it is a spiral structure much like the spiral temple she spoke of. To read about her and the show, click here. Sesshu Toyo who lived from 1420 to 1506 is considered Japan's greatest painter. Most of his paintings are with black ink. In Japan black and white are considered to be colors unlike in the west. 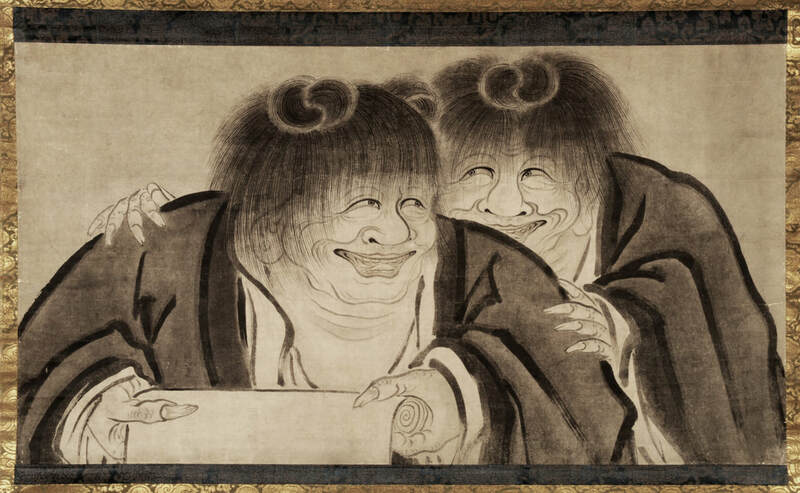 The painting below is titled Hanshan and Shide (Kanzan and Jittoku in Japanese.) To read more about Sesshu click here. 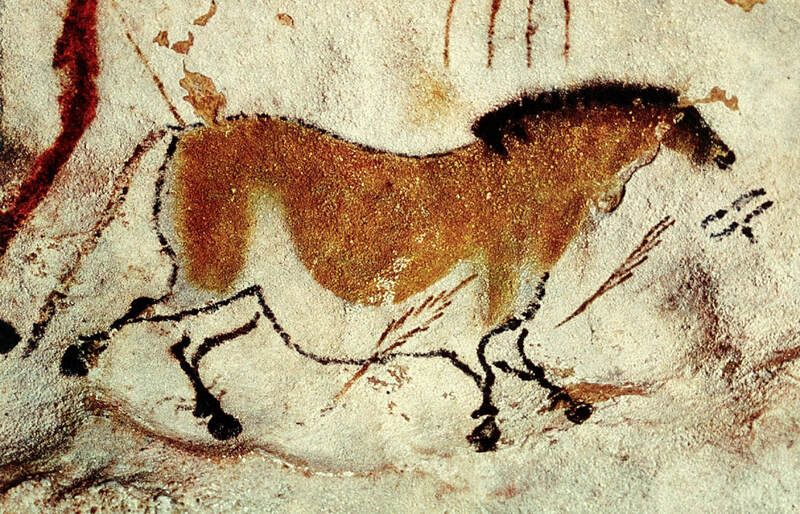 The playfulness and seeming simplicity is so appealing and just makes me smile. 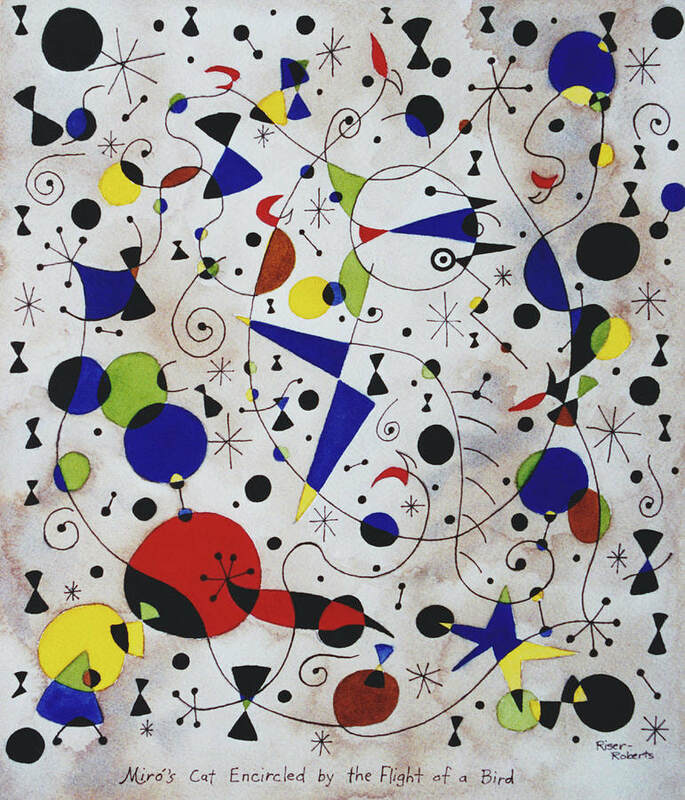 To read a little something about Miro click here. 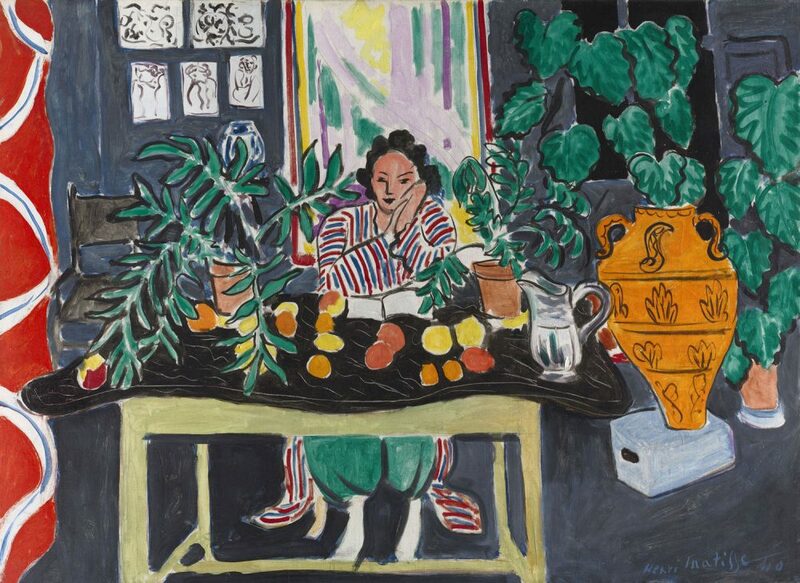 I have looked at so many artists that I admire and whose work I love but I always return to Matisse. He is the one I truly connect to. His art is not intentionally political but we can find political subjects in any art. If you click here you will link to an article that talks about this.